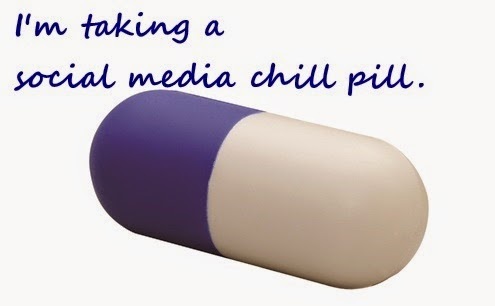 I've decided to take a chill pill on social media. I'll be posting a few times a week on each platform, including a blog post on healthy, green living here each Monday, but hopefully in a more authentic way that doesn't make me feel like I'm a hamster in a wheel. I'll continue to share with you via my weekly e-newsletter, which will contain even more dynamic, valuable, and exclusive info as I tone down my social media blasts. Be sure to sign up, and get your thank you gift. I'll be using my offline time to deepen my connection with old friends and meet new friends in real life. I'm thinking more tea dates, walks in the park, lunch, JourneyDance classes, conferences-- all that good stuff. If you're reading this, I'm sure I'd love to hang out with you in real life- contact me. One exciting event I have coming up-- I'm actually hosting it-- is the first Holistic Health Hangout in Prospect Park (Brooklyn) on Saturday, June 28. Details and tickets are available here. What role does social media play in your life these days? Are you ever concerned about abusing it? How?